Jawbone Flats is located in the North Santiam mining district on the west slope of the Cascade mountains. The district was initially discovered in 1859 but has been a small producer and records of mining activity in the area are sparse. The Amalgamated mine (also known as the Ruth mine) was discovered in 1896 but there is no significant record of production until 1930. The mine was a producer of copper, lead, zinc, and silver. The Amalgamated Mining Company built the mine camp at Jawbone Flats in 1930 as part of the project to start production at the mine. The initial period of activity that sustained the camp at Jawbone Flats lasted from 1930 until 1951 when the Amalgamated mine shut down. The camp and mines would later be owned by the Shiny Rock Mining Company which would operate at the site until 1992. Unfortunately details of life at the camp or of workers at the mines in this district are hard to come by. In 1992 the Shiny Rock Mining Company gifted 151 acres of land, including the Jawbone Flats mining camp, to the nonprofit organization Friends of Opal Creek. 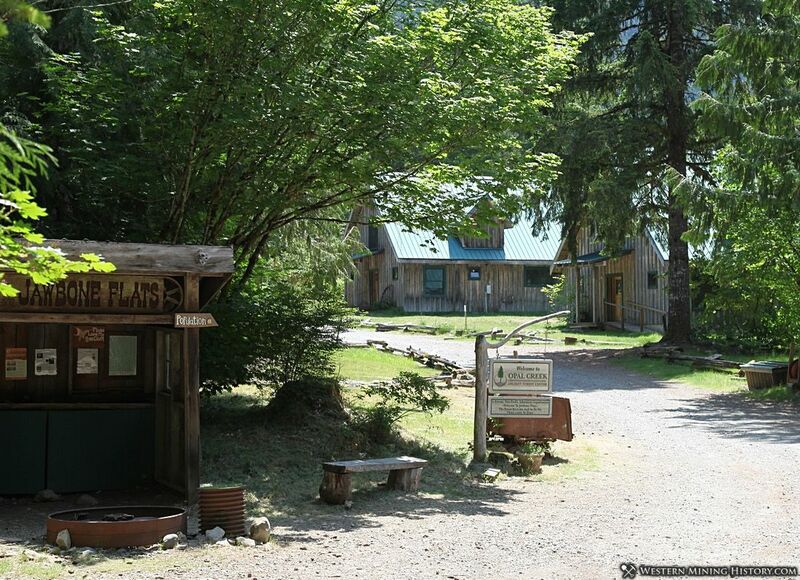 Many 1930's era buildings have been restored and are used as guest lodging, educational buildings, and staff housing. The welcome sign at Jawbone Flats lists the current population as eleven. Jawbone Flats is completely off the grid and generates its own power through a small hydroelectric plant and supplemental solar. 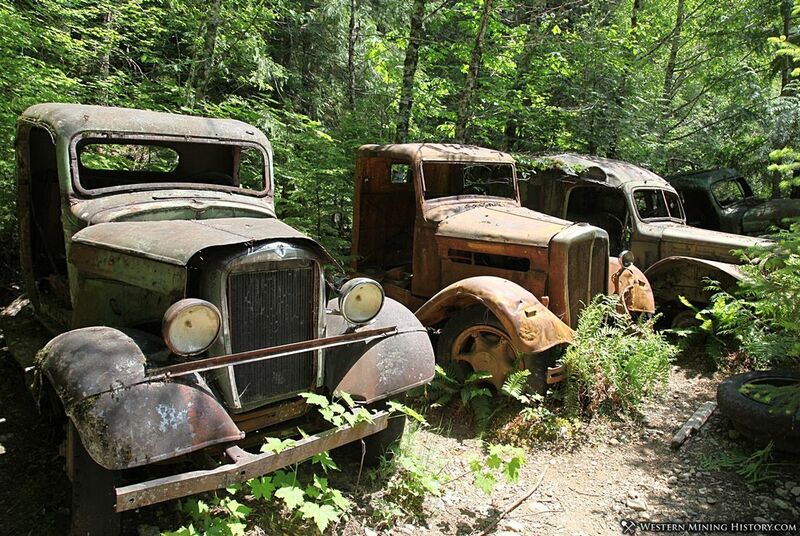 Items of interest at the camp are the numerous restored depression-era buildings, antique mining equipment like ore cars, boilers, Pelton Wheels, and an assortment of broken down and rusted out vintage trucks. A small building houses the hydroelectric generator and a peek through the window reveals some of the workings of the plant. 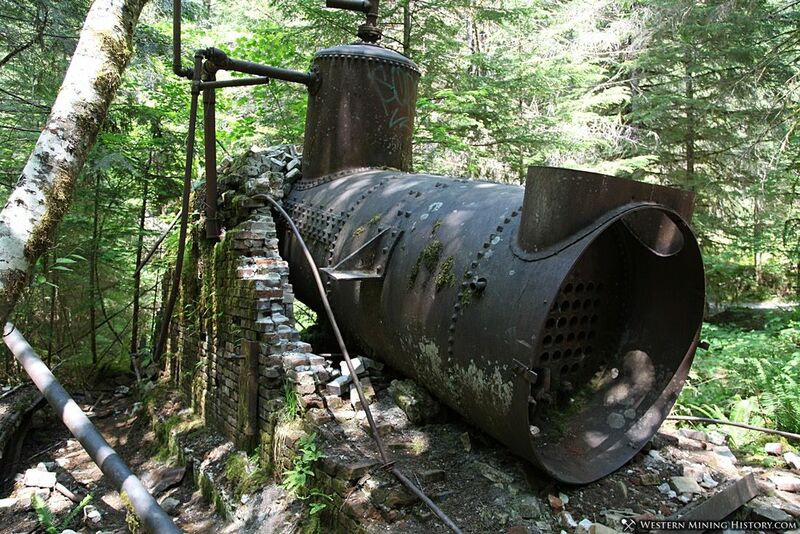 Just past the camp are the remains of a small but modern ball mill for processing ore. The road to the camp is closed at the Opal Creek trail head and can only be accessed by a roughly seven-mile round trip hike. Not too far from the trailhead, the trail passes the portal of the Santiam Copper Group mine which is caged and can't be accessed. The Santiam was one of the larger mines in the area with operations between 1923 and 1941. At about the two mile mark hikers will encounter the remains of the Merten Mill. The Merten was a sawmill built in the 1940s, and its impressive boiler is still supported by a brick foundation although the entire structure is deteriorating and likely won't stand for too many more years. Winches and other machinery litter the ground at the mill site. A bit later on the hike, before reaching Jawbone Flats, there is an ore car sitting at the side of the trail. Given that some of the largest mines in the district operated in this area, it is unusual to only see a few scattered remains. While salvage and reclamation have likely resulted in the removal of old equipment, undoubtedly much of it has been swallowed by the dense Oregon forest. The hike to Jawbone Flats is one of the most beautiful in the United States. 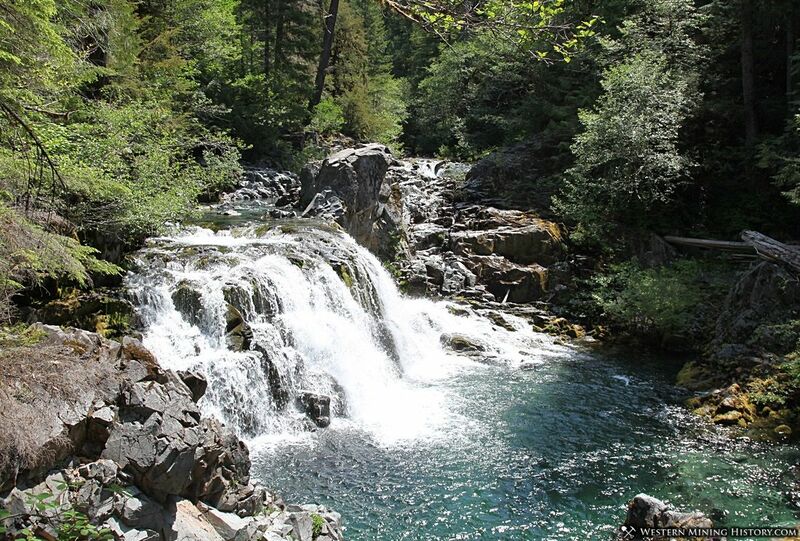 The ancient forest and stunning blue water of Opal Creek make area a popular tourist destination, and for good reason. If you ever wanted to experience history and the grandeur of nature in a single trip, this is the place to go. 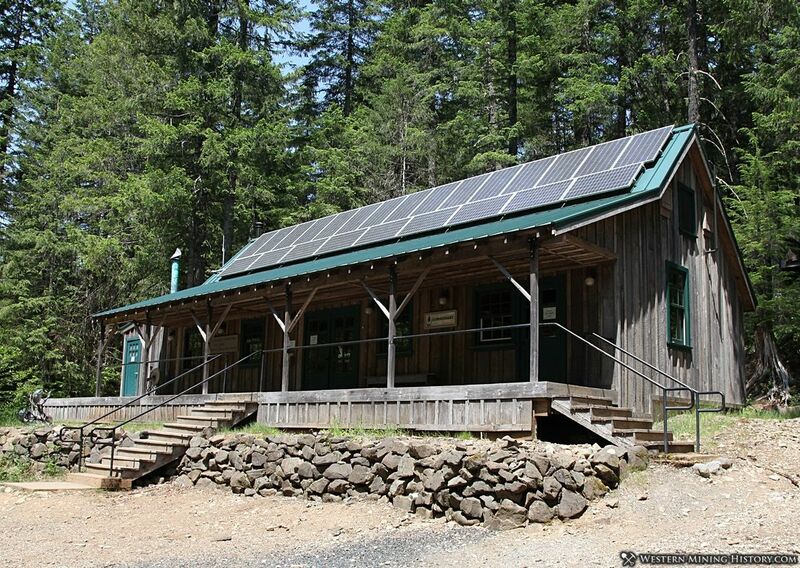 For more information on lodging or programs at Jawbone Flats, visit the Opal Creek Ancient Forest Center website.